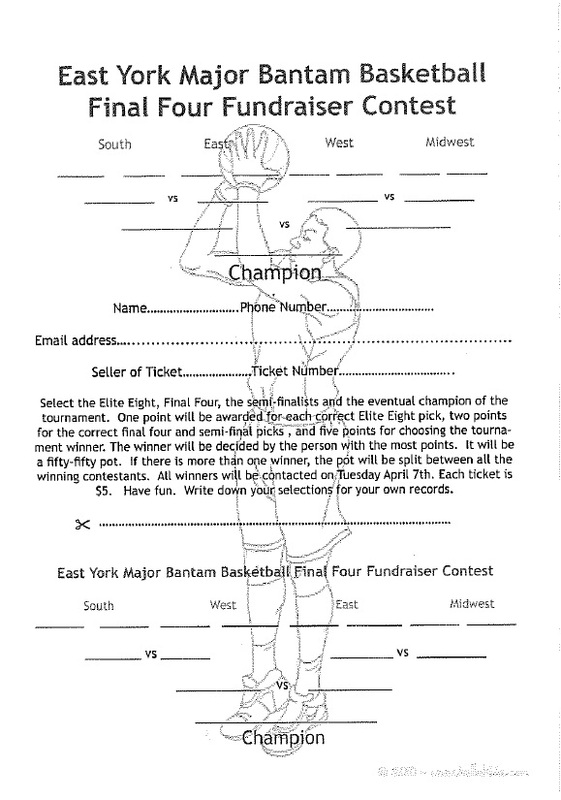 East York Basketball – Major Bantam Boys U14 March Madness Fundraiser! Major Bantam Boys U14 March Madness Fundraiser! The Major Bantam Boys U14 team is hosting a fundraiser that is most definitely aimed at basketball fans. It’s March Madness time and this is your chance to get in on the action and help the team with expenses. Half the funds collected goes to the winner, the other half goes directly to the team. Simply pick the teams you think will reach the Elite 8, the Final 4, the Final and the Champion! Each entry costs just $5! By eastyork|2015-03-13T15:53:09-04:00March 13th, 2015|Major Bantam Boys, Rep Teams|Comments Off on Major Bantam Boys U14 March Madness Fundraiser! East York Juvenile U17 Win Gold! Major Bantam Boys Win Bronze at Provincials!